Delicious, award-winning barbecue in an upscale-casual setting that’s perfect for the whole family. 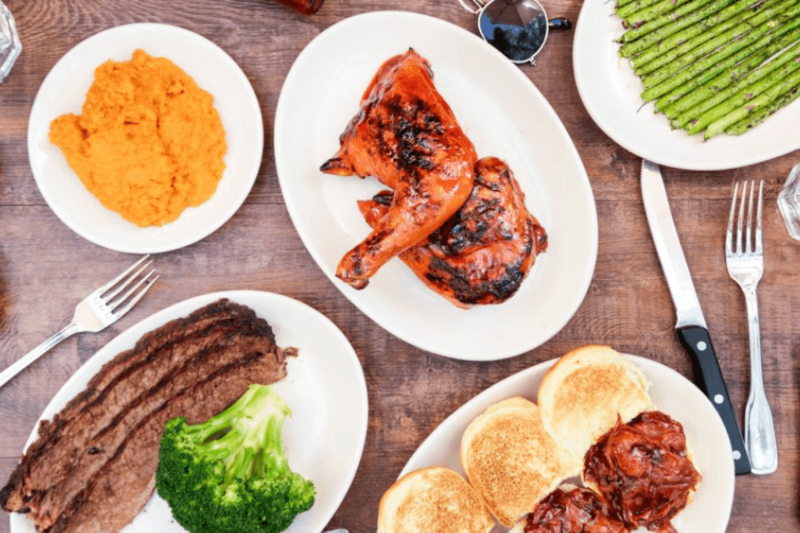 Enjoy a menu of high-quality signature dishes including baby-back pork ribs, Certified Angus Beef steaks and burgers, USDA Choice tri-tip roasts, fresh fish, chicken and a kid-approved menu for the little ones. The service is great, and so is the value. Call Caruso Concierge at 323.900.8080​​ to secure priority seating.